The UK contract manufacturing market in 2017 was 7% up on 2016 but Q4 dropped significantly. 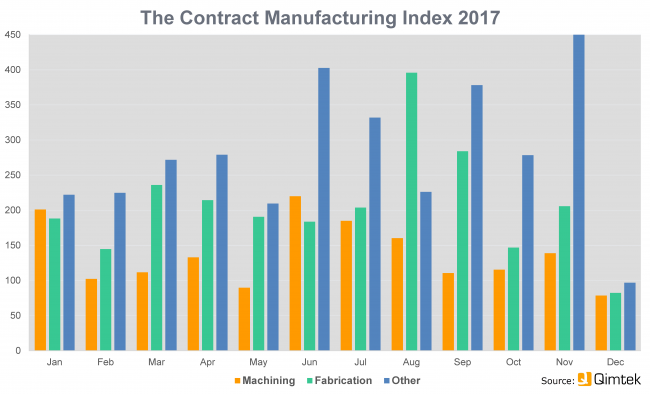 The latest Contract Manufacturing Index (CMI) figures show that the market for contract and subcontract manufacturing reached a new high in 2017 – but a poor fourth quarter pointed to uncertain times ahead. The CMI for 2017 overall stood at 173, compared to a figure of 161 in 2016. 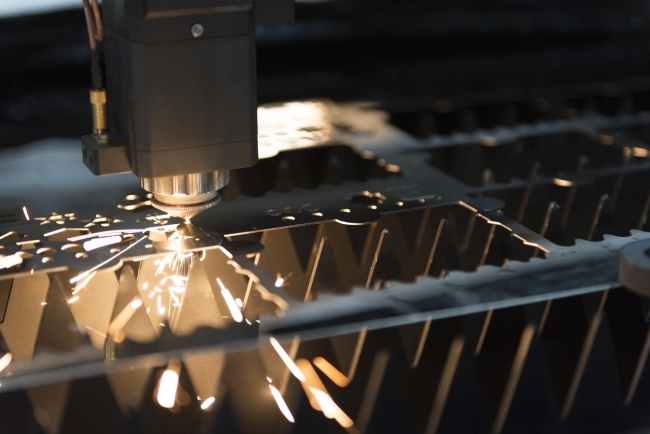 Machining represented 45% of the market in 2017, with fabrication at 46% and other processes, including contract electronic manufacturing, added up to 9%. The shine was rather knocked off the 2017 figures by a final quarter that showed a 36% drop from the third quarter of 2017 and a 7% drop compared to the equivalent period in 2016. The pattern in 2016 was similar, but the fourth quarter drop in 2017 was more severe than the previous year, with fabrication falling by 51% on the previous quarter and 14% compared to the final quarter in 2016. Machining was down 27% on the previous quarter and the only positive move was in other processes, including contract electronic manufacturing, which was up 15% on the previous quarter and 34% on the fourth quarter of 2016. Within the quarter December was particularly depressed, but November was the strongest month of the year for processes other than machining and fabrication. Commenting on the figures, Qimtek owner Karl Wigart said: “2017 was another strong year for contract and subcontract manufacturing, with the market up over 73% since we first started producing the Contract Manufacturing Index in 2014. “It is hard to put a positive spin on the final quarter though. Machining and fabrication were very low for December, lower than we have seen for several years. The volume of orders was about the same as last year, but the larger companies were not outsourcing very much at all in December, so the average value of orders was much lower.